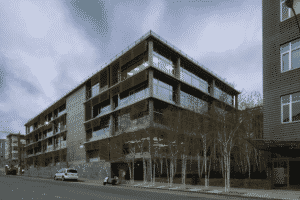 Our main office is centrally located at 350 Rhode Island Street, in San Francisco. We know San Francisco’s streets, subways, bus system and alleys. San Francisco, a city of 750,000 people is approximately 7 miles by 7 miles in size. The many different types of transportation in San Francisco; walking, bicycle, private vehicle, taxi, Muni Bus, Street Car, Cable Car, BART (Bay Area Rapid Transit) and the many one way streets requires our surveillance operatives to be prepared to cover any eventuality. We have experience with surveillance at most San Francisco hotels. Larger hotels have more elaborate security. Smaller, boutique hotels are more intimate, which creates it’s own challenges. Our operatives have the experience and relationships required to conduct investigations in the most effective manner. Airport surveillances require 3 or 4 operatives to effectively locate and surveil a Subject, arriving at the airport. One or two operatives are required on foot inside the airport, one operative in a vehicle circling and one operative outside the terminal to be triggered to follow the Subject vehicle. If travel plans are known in advance and Subject’s vehicle is identified ahead of time, two operatives may be feasible. 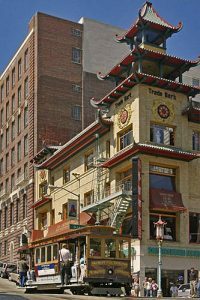 Our Mandarin and Cantonese speaking operatives cover the San Francisco Bay Area, including Chinatown.